The Monessen wall surround and hearth for the Symphony 24 inch vent free fireplace is perfect for a quick installation against any wall. Fireplace must be purchased separately. 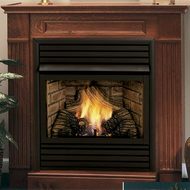 The Monessen corner surround and hearth for the Symphony 24 inch vent free fireplace is a convenient and easy way to finish off a corner fireplace application. Fireplace must be purchased separately. The Monessen wall surround and hearth for the Symphony 32 inch vent free fireplace is perfect for a quick installation against any wall. Fireplace must be purchased separately. Pleasing proportions, solid wood moldings and hand crafted recessed panels give this mantel an elegant nuance of design that is sure to make it the focal point of any room. Fireplace must be purchased separately. The Monessen corner surround and hearth for the Symphony 32 inch vent free fireplace is a convenient and easy way to finish off a corner fireplace application. Fireplace must be purchased separately. 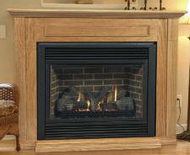 The Monessen Wall Surround and Hearth for vent free fireplaces is perfect for a quick installation against any wall. Fireplace must be purchased separately. 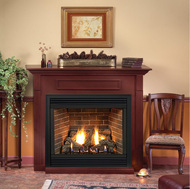 The Tahoe Deluxe Wall Surround and Hearth is perfect for a quick installation against any wall. Fireplace must be purchased separately. The Monessen Wall Surround and Hearth for the Aria 36 inch vent free fireplace is perfect for a quick installation against any wall. Fireplace must be purchased separately. The Tahoe Deluxe Corner Surround and Hearth is perfect for a quick installation into any outside corner. Fireplace must be purchased separately. 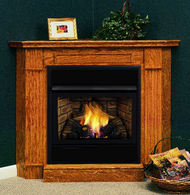 The Tahoe Premium Wall Surround and Hearth is perfect for a quick installation against any wall. Fireplace must be purchased separately. 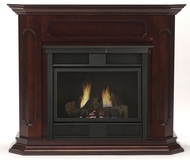 The Tahoe Premium Corner Surround and Hearth is perfect for a quick installation into any outside corner. Fireplace must be purchased separately.